Umm! Delicious Chocolates! Do you like them? Well, everybody knows about chocolates and almost every person loves to eat them. Do you know where these chocolates come from? All the chocolates have one common ingredient besides other, which is the powder of cocoa beans. Cocoa beans are the seeds of cacao plant that are extracted from its fruit called “pods”. When the seeds are removed from pods, they are very moist. So, they need to be roasted to make them dry for making cocoa powder. The taste of the cocoa powder is not as sweet as you may have thought. Instead, it is very bitter and very difficult to eat directly. The chocolates we eat contains a small amount of cocoa powder mixed with other ingredients i.e. milk, sugar, and cream. Cocoa beans are obtained from pods that grow on a tree called cacao tree. 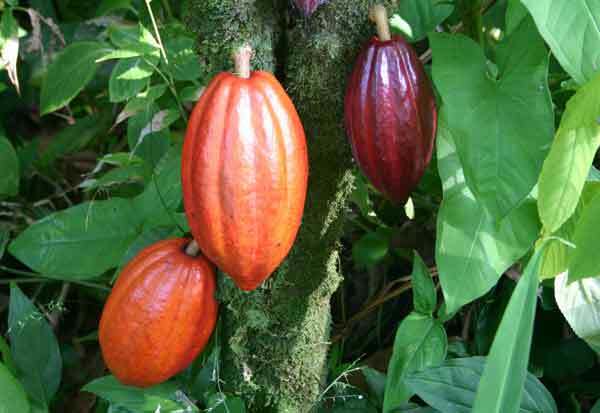 Cacao tree grows in hot and humid places which are mostly found in the south of equator e.g. South America. Cacao (or cocoa) trees needs humidity throughout the year for proper growth. Also, they must be near taller plants to get the shade from them and avoid direct sunlight. Cacao trees take too long to grow to its full maturity – about 5 years. Once these trees reach to full maturity they can produce pods which contains cocoa beans. Cacao plants on average give 1000 beans each year. A thousand beans are enough to produce 900 grams (2 pounds) of chocolate. When cacao plants reach to their maturity they start to give pods each year. Once the pods on the tree are ripe, they need to be harvested in a few weeks. 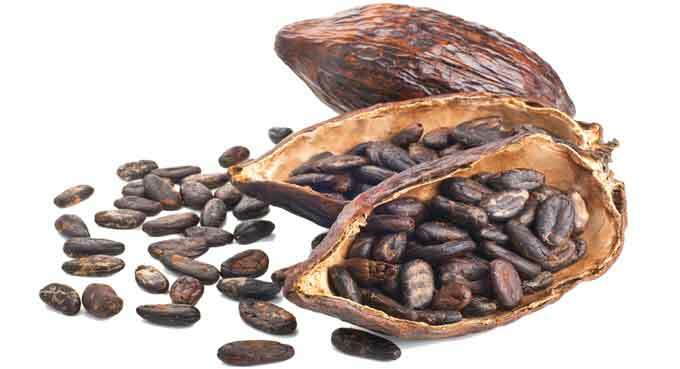 Otherwise, cocoa beans inside the pods are germinated and become useless to form a powder. 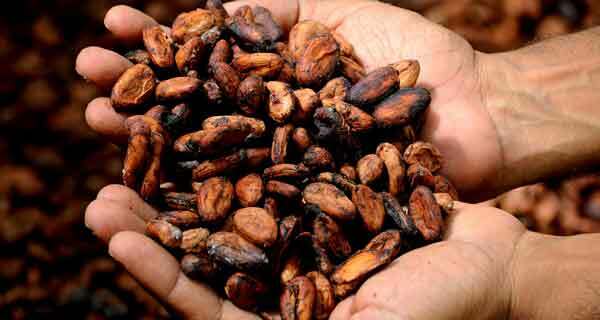 The harvested pods contain cocoa beans, and to obtain them the pods are crack opened. Then all the seeds inside pods are collected. These seeds are moist but can be eaten directly – only tastes bitter. 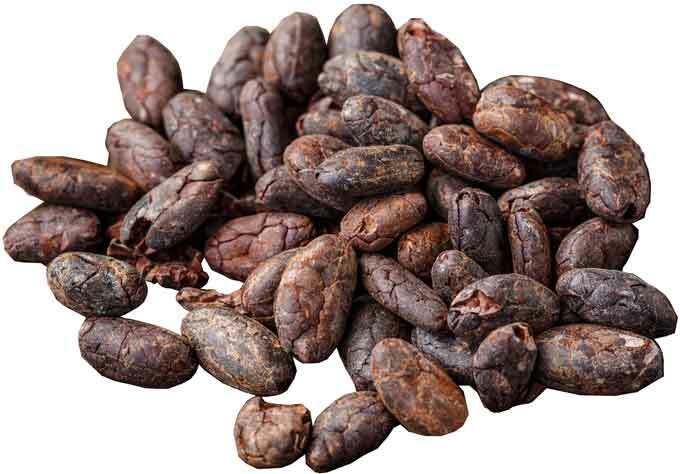 The moist cocoa beans need to be roasted in high temperature to make them dry for making powder. Cocoa and Cacao are two words that used interchangeably by people. Many people consider both of them as same, but they are not. Cocoa and cacao are both obtained from the same tree and same pods – even they are the same. But, they differ after being processed. It is the method of processing that makes them different. Cacao beans are dried seeds from pods that are less processed and unroasted. But, when these cacao beans are roasted at higher temperatures, they become cocoa beans. Heating the simple cacao beans not only changes its taste but also affects the health benefits of plain seeds. Generally, cacao beans are healthier than roasted cocoa beans because heating the beans degrades some nutrients in it. So, you have eaten a bunch of chocolates or cocoa beans and want to know its benefits. Well, there are many health of benefits of consuming cocoa beans in any form e.g. powdered. Antioxidant effects: Cocoa beans contains flavonoids and phenolic phytochemicals that are good in protecting your body cells from free radicals. Rich in Minerals: Cocoa beans have a wide variety of minerals that are required by your body to function normally. Some of the minerals with higher quantities are are calcium, iron, and magnesium. Good Source of Fibers: Fiber helps our digestive system, reduces constipation, and lowers LDL cholesterol. Fibers are also present in the beans – about 5 grams in each ounce of raw cacao beans. Enhances the mood and cognitive performance: Epicatechin is a substance in cocoa that enhances the cognition and preserves it in aging. This substance also improves the mood of a person and regulates the glucose production – helps in diabetes. Protects the heart: Studies suggests that, antioxidants present in cocoa beans increase the antioxidant capability in our blood and reduces platelet reactivity, which results in a healthy heart. Lowers the blood pressure: A recent study suggests that, flavanols present in cocoa beans have the capability to lower the blood pressure. Now you have read health benefits of cocoa beans and want to eat them. But the beans are very bitter to eat directly – difficult for many people. There are many products that are made from cocoa beans and many of them are delicious. Chocolate: Cocoa beans are the main ingredient of a chocolate that gives it a brilliant taste. You can eat chocolates but don’t consume too much. Because chocolates also contain sugar and other substances that may not be beneficial if consumed too much. 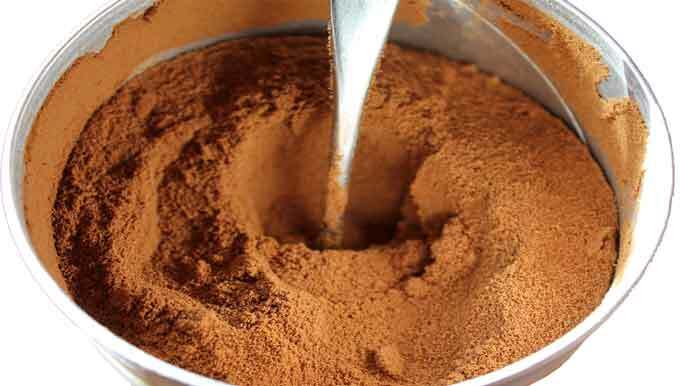 Cocoa powder: Powdered cocoa beans is a very popular product and is used by the majority of people who take cocoa beans. Many companies sell the cocoa powder processed to enhance its taste. You can sprinkle the cocoa powder on any dish you wish. Also, you can make a hot cocoa drink to boost yourself. Cocoa butter: Butter may be a tasty product for most of the people around the world due to its taste. Cocoa butter is obtained from the fattiest part of cocoa beans and processed further to taste like a chocolate. Cocoa nibs: Cocoa beans are large to sprinkle on dishes – about one inch long. So, chopping them into smaller pieces makes them a good fit. Cocoa nibs are chopped beans that have no any added sweetener. An average cacao tree lives about 200 years, but it only gives cocoa beans for only 25 years. The hot chocolate drink was first made by Mayan Indians. They had to crush the cocoa beans for making the hot drink, and they used no sweetener which made the drink very bitter. Every year around 2 billion pounds of chocolate is consumed on average. Each cacao tree is only able to give seeds that are sufficient to produce only 2 pounds of chocolate. So, we need 1 billion cacao tree to fulfill our needs. Abdul Wahab, "Cocoa Beans," in Science4Fun, April 12, 2019, http://science4fun.info/cocoa-beans/.